Cindy attended New York City Technical College in Brooklyn, where she earned her associate’s degree in dental hygiene in 1984. She moved on to York College in Queens for a Bachelor of Science in Community Health Education in 1992. 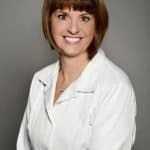 Cindy has worked for Dr. Hunsicker­Morrissey since 1994. She completed her training as an expanded function dental assistant at Harcum College in 2004. Cindy currently holds a hygiene anesthesia license. She is also fluent in Spanish. Cindy loves seeing positive results from the work that she performs with our patients. Cindy resides in Allentown with her husband and two children. She loves traveling to the Caribbean, learning about different cultures and foods, and visiting the national parks of the U.S.